Ceramic products are gaining popularity because of their worldwide usage not only as an item of requirement but also as a matter of decorative furnish. The eye-catching ability of ceramic items adds to the beauty of home, office or any other place. Further, they are durable, easy to clean and available in a wide range of designs and varieties. We, SPENZA CERAMICS have a luxurious product range which includes Ceramic & Vitrified Floor Tiles, DIGITAL Wall Tiles, Designer Wall Tiles & Sanitary Wares. Our products lead the market because of their sophisticated designs, competitive edge, long-lasting life, and extensive range. The essence of Spenza Ceramics is its awe-inspiring designs, vibrant colours and a limitless range. 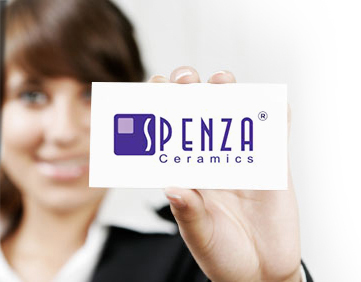 Spenza Ceramics has created a huge variety, just for you. Each product has been designed to perfection, to give you that ultimate satisfaction. Spend a moment with us and journey to an amazing world of colours and designs from out of this world. In a short span of time SPENZA CERAMICS have achieved mile stone of success primarily due to the strong customer base across the country. And, the looks are not just superficial.Spenza tiles promise you the right look that genrate positive vibes and a happy felling 24x7.Here is your chance to pick a look of your choice. We aspire to achieve sustained growth and value creation in the area in which we deal, by rendering most outstanding products to our valued customers. Our service will be better explained by our work.